Logos are more than just cute little icons which represent your business in a colorful way. The real intent behind business logos is to provide an instantly recognizable symbol which can be associated with a specific brand, and with the core values represented by that brand. If you can create a logo which successfully accomplishes this mission, you will have achieved probably the most important objective possible in marketing. What makes a logo so effective is the fact that if your company values can be associated with your brand, it becomes unnecessary to repeat the verbiage throughout all your promotional materials and signage – all that’s really necessary is displaying the logo, and all those positive connotations are instantly brought to mind for the viewer. Given the fact that a business logo can be such a powerful representation for your brand and your company, it stands to reason that you should invest some considerable time and thought into creating just the right logo. 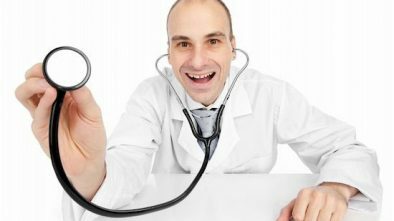 Here are some ideas that you should keep in mind when you’re trying to create the perfect logo to represent your medical practice, and all its unique features and values, that you would like patients to associate with your business. If you already have a logo, is it an accurate reflection of the objectives of your medical practice? Also, is it a contemporary symbol, or is it something which is more properly associated with the medical practices of one or more decades ago? If your logo isn’t up to snuff with regard to these two points, you might be well advised to give your logo a complete makeover. Take advantage of the skills of a really good graphic artist, since they have all the modern tools at their disposal to produce something really striking and remarkable, in the way of a logo for you. Keep in mind that you will eventually need to use your logo in a number of different digital applications, so you’ll need terrific output from the graphic designer of your choice. A few guidelines should be observed when constructing your business logo so that you’ll end up with something that’s instantly recognizable to people, and which is also a powerful representation of your medical practice philosophy. The first of these is to keep it simple and easy to identify because if an observer has any trouble discerning exactly what the logo is, the whole exercise will have been futile. Think very carefully about what you’d like the public to know about your medical practice, and develop some possibilities for graphically depicting this. For example, if caring is your number one medical ideal, think about symbolic representations which demonstrate caring. Don’t dismiss the possibility of rebranding your practice, by perhaps tweaking the name of your practice, or replacing it altogether. This might be especially worthwhile if you didn’t give much thought to it initially and simply named the practice after yourself. While this might gratify your ego, it doesn’t do much to convey a message about the nature of your practice, or about what your medical philosophy is. If you can align your business practice name with your business logo, that will create an even more powerful impression in the minds of observers and potential patients. For instance, Smith Medical Group doesn’t say much about a practice, whereas Neighborhood Chronic Care or something to that effect, instantly conveys what your practice is all about. Couple that rebranded practice name with your business logo, and you might reap twice the benefits of your branding efforts. Examples of strong medical logos that will have an impact on the viewer. While you might not think that a color scheme plays a very important role in producing your business logo, the exact opposite is really the truth. Colors can be just as evocative of your medical practice as any other graphical representation. If you use the same kind of color scheme to represent your medical practice in all your other marketing efforts, those colors can become subtly embedded in the minds of readers and viewers, who then make the connection to your medical practice. Of course, you’ll have to bow to certain practical considerations at times, to keep various objects appropriately colored, but other than those limitations, the predominant theme of your logo colors should be in solid alignment with all your other marketing efforts, to enhance the association made by viewers. If there’s a convenient way for you to draw attention to the specialties or strengths of your medical practice, this is a very desirable element to include in your business logo. As an example, if your practice was specifically centered on pediatrics, it might be a good idea to have some representation of a baby or a child in your business logo to convey that thought. Since the whole idea is to have people instantly think of your practice when they see the logo, that symbol should be an accurate reflection of what your business is all about. While it can be very difficult to develop such a concise but all-inclusive graphical representation, if you can nail it, you’ll probably have the most powerful marketing tool that you could ever come up with.